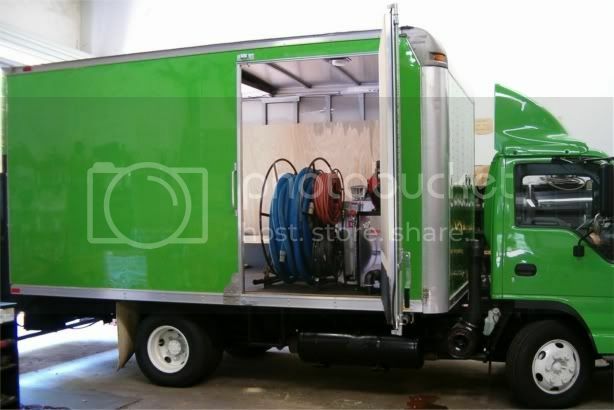 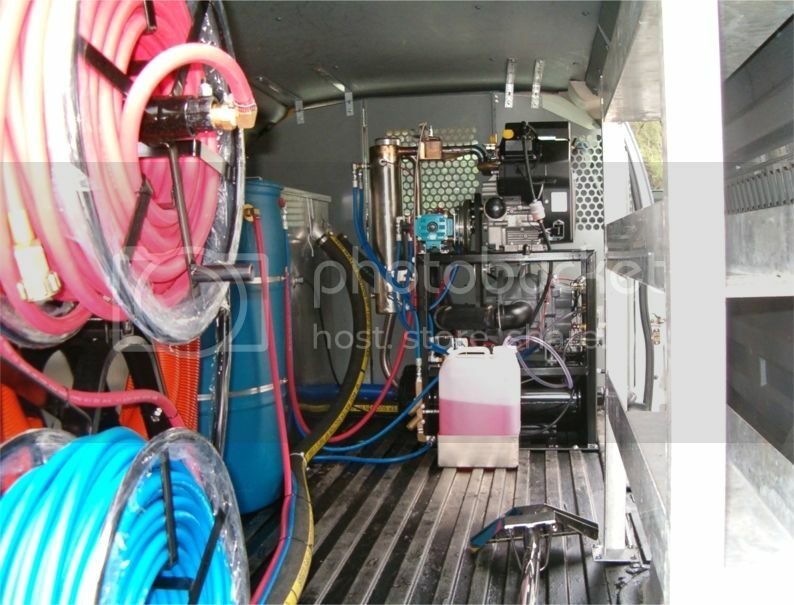 Cleaning Technologies systems are versatile and adaptable to vans, box-trucks, trailers, etc. 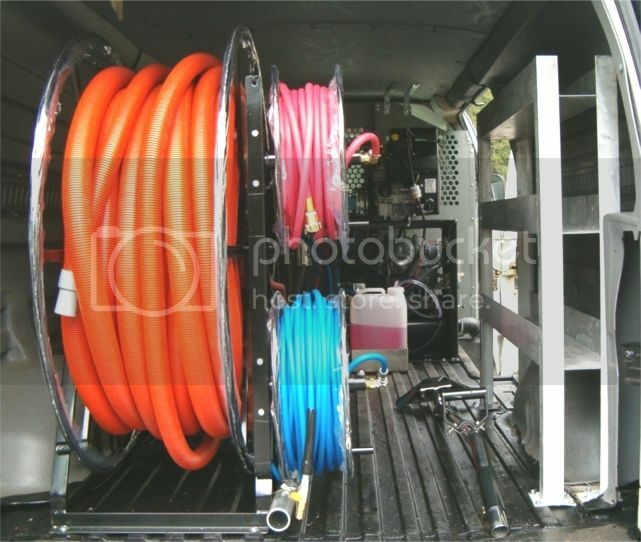 Complete assembly includes standard power cable, fuel line, bolts, washers and tie-downs. 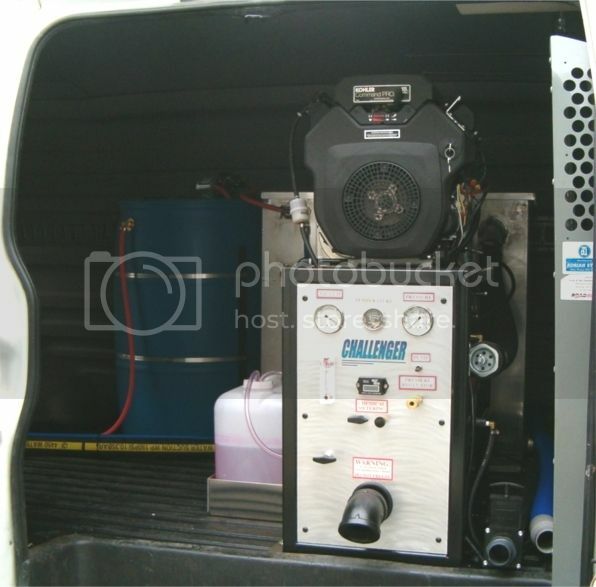 Access to console and heater through side door and hose reels from the rear. 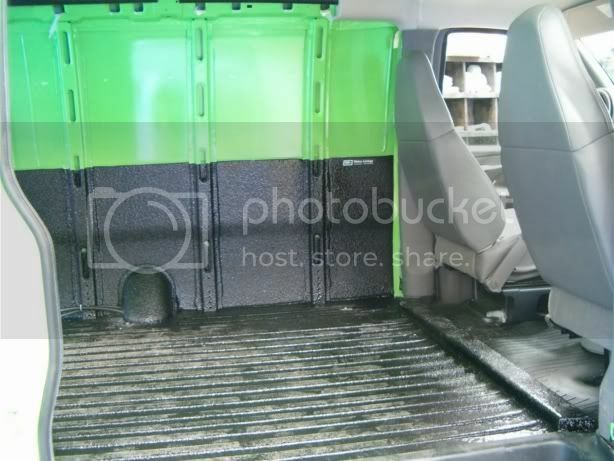 Includes 55 gallon fresh water tank and LINEX® floor covering to protect against rust. 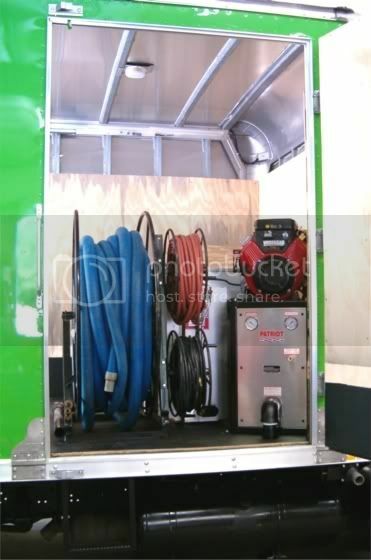 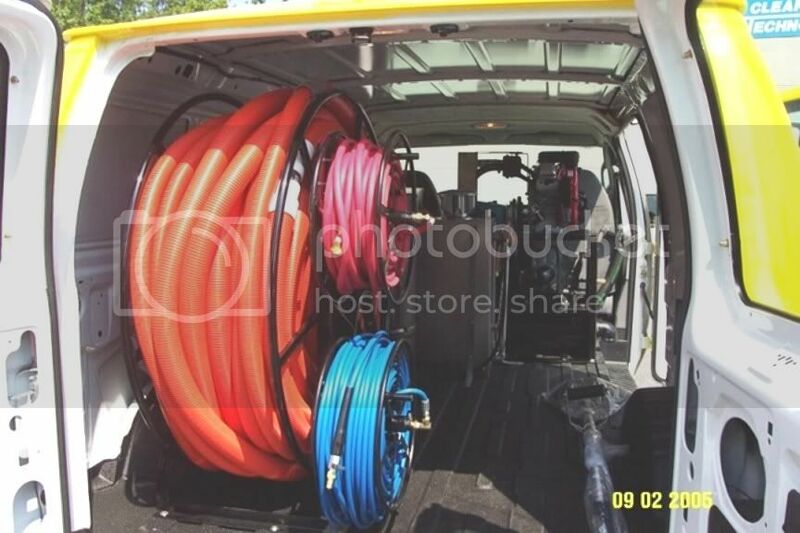 Access to console through side door and hose reels from the rear. 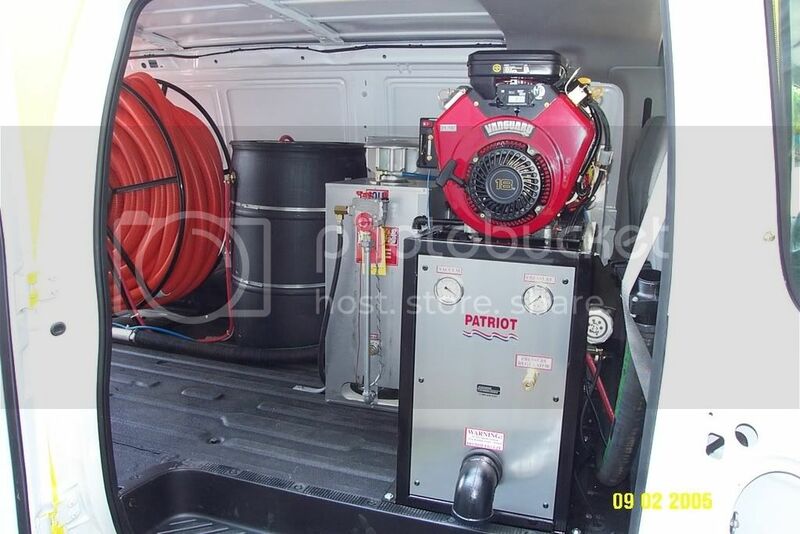 Absence of propane hot water heater allows for extra floor space. 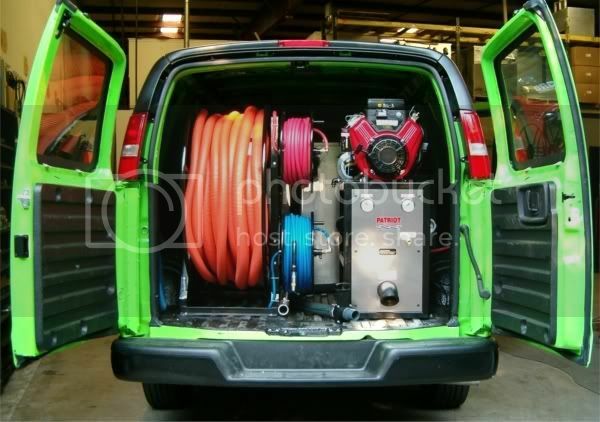 System mounted within a 5’x5’ area, with maximum room left for air-movers and dehumidifiers. 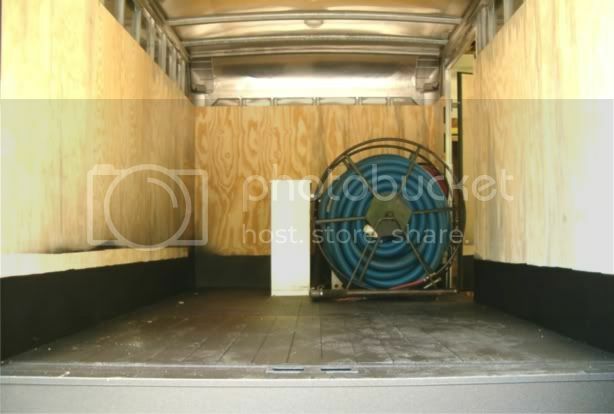 System is mounted in the back, leaving the front area for air-movers and dehumidifiers.